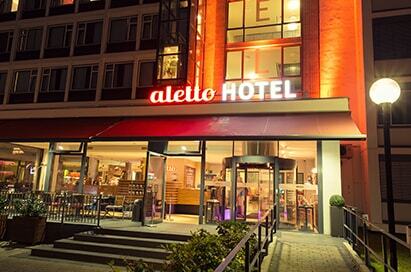 For students of 20th Century history Berlin is the perfect destination. Whichever period you are studying the city will have played a key part in the events of the time and the scars are often still visible. 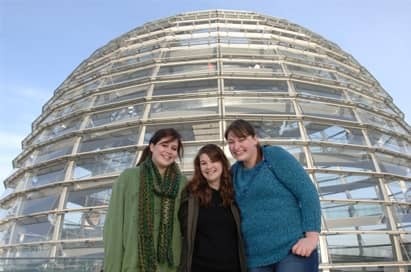 Whether it be as the seat of the Weimar Republic, where the "Final Solution" was passed or partition and the front line of the cold war, students will gain a greater understanding of the key role Berlin has played in world history and equally a sense of its resilience and ability to continually reinvent itself. The home of the German Parliament the Reichstag building is a must see. Even from its conception, the Reichstag has had a turbulent history. Kaiser Wilhelm I in 1884 needed three attempts to lay the foundation stone, the Kaiser did not like the Reichstag. Not only would the Reichstag in its completion stand higher than the City Castle it would represent a new political wave in the country. Even after 10 years of construction in 1894, the Kaiser Wilhelm II who had not taken power raged that the building was the ‘pinnacle of bad taste’. The Parliament building has reflected the turbulence of German history. The Parliament building has been destroyed and rebuilt many times throughout its history. Between 1994 and 1999, the Reichstag was redesigned and expanded by the British architect Sir Norman Foster. The accessible glass dome and roof terrace making the new structure an iconic piece of architecture in the city. Since 1999, the German Bundestag has been conveying in the Reichstag building. They do a range of tours for children that give a real insight into the long and exciting history of the building. The Brandenburg Gate stands as a symbol of both the city's tumultuous past and the present unity. Formerly used to represent the separation of the city between East and West Berlin, the Brandenburg Gate now represents the collapse of the Berlin Wall in 1989 and the subsequent rejoining of the East and West sides of the city. 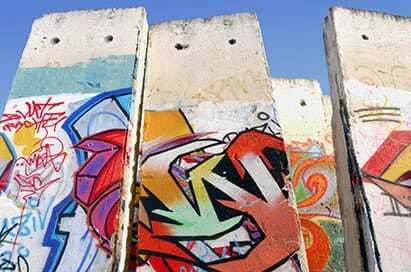 It was here that the process of sealing off the eastern half of the city began in the early hours of August 13,1961. But it was here, too, that the end of Germany's division was heralded 28 years later. The gate was in construction from 1788 to 1791 according to the plans of Carl Gotthard Langhans. The construction was modelled on the Propylaeum of Athens’ Acropolis. 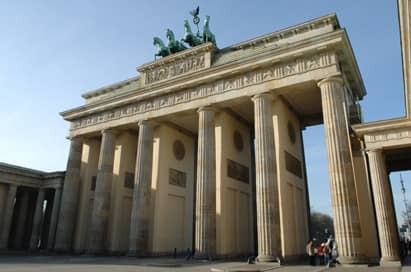 The Brandenburg Gate is a beautiful architectural and historical sight in Berlin, symbolising over two hundred years of history, and is an iconic landmark for students to visit and experience. Guided tours focus on any one of 8 different periods from the museums permanent collection covering 1500 years of German history. Periods include: 1918-1933 Weimar Republic; 1933-1945 NS Regime & WWII;1945-1949 Germany under Allied Occupation; 1949-1994 Divided Germany & Reunification. Berlins’s ‘Unterwelten’ Museum exposes the ‘underworld’ of Berlin, which below street level is riddled with holes. A former bunker located at the U-Bahn station Gesundbrunnen has plenty to offer anyone curious about the tunnel systems and subterranean walkways with a vast amount of information. The exhibition at Berliner Unterwelten e.V is informative about the history of this subterranean viewpoint, the bunker systems in Berlins subway system, recovered bombs and ammunition stores along with many other uncovered secret elements of the tunnels. Highly informative guided tours are available on a range of topics in the tunnels. This is where the headquarters of the dreaded Gestapo once stood. 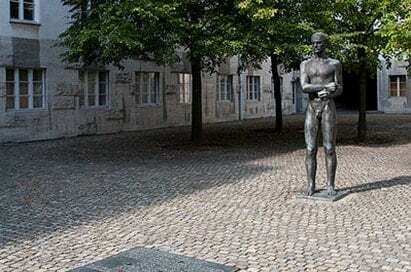 Between 1933 and 1945 the centres of national-socialist terror namely the Gestapo with its own prison, the SS headquarters, the SS Security Service (SD) and the Reichssicherheitshauptamt (Main Office of State Security) were located on this sight. The new exhibition ‘Topography of Terror’ is open here. The exhibition documents the history of the institutions terror all within the close vicinity of the Nazi government. The second permanent exhibition focuses on the role Berlin plated as the capital of the ‘Third Reich”. The Topography of Terror is one of the most frequented memorial sites and museums in Berlin. The main exhibition and the tours of the grounds or the trenches are available for schools and give a fantastic historical insight into this time. 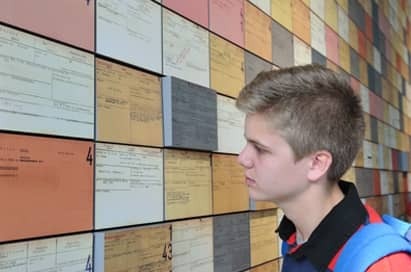 The German Resistance Memorial Centre is a site of remembrance, political studies, active learning, documentation and research. The Centre’s goal is to show how individual persons and groups took action against the National Socialist Dictatorship from 1933 to 1945. The centre of the memorial is an honorary courtyard where resistance fighters were executed on 20th June 1944. The memorial and education centre opened on 20th July 1968, along with a permanent exhibition about German resistance to National Socialism. This villa is where the grisly plans for the Final Solution were drawn up. 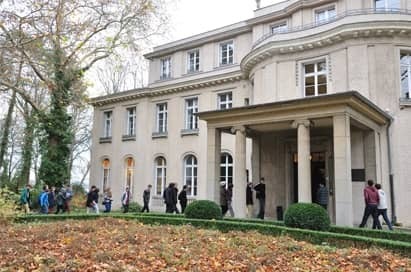 On January 20th 1942, a meeting of the high officials from the Nazi Ministries and the SS was held in Minoux villa by the Wannsee waterside. This meeting, under the direction of SS Obergruppenführer (SS rank equivalent to full General) Reinhard Heidrich, consisted of organising the deportation and murder (Final Solution) of European Jews in the occupied areas of Poland and Eastern Europe. A memorial site opened following the 50th anniversary of the conference in 1992. On display is the permanent exhibition “Die Wannsee-Konferenz und der Völkermord an den euripäischen Juden” (The Wannsee Conference and the Genocide of the European Jews). There are also changing exhibitions on the subject of holocaust as well as a library. The two remaining barracks of the Sachsenhausen Concentration Camp now stand as a museum, a memorial hall and cinema where a film about the history of the camp is shown hourly. It is estimated that 30-35,000 victims died at Sachsenhausen however, some put the estimate higher. Prisoners from the Emsland Camps built the Sachsenhausen Concentration Camp in the summer of 1936. This camp was the first to be established following Heinrich Himmler’s appointment as Chief of the German Police in 1936. 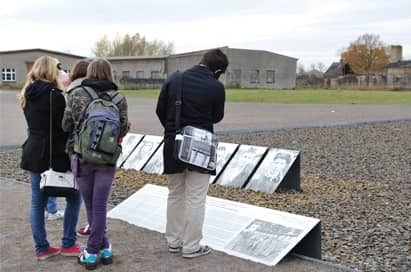 The concentration camp has been preserved a living memory to the events that happened there, holding significant importance for its close proximity to central Berlin in comparison to the camps that followed it. The Olympic Stadium holds significant importance in German history. The 1936 Summer Olympics that were known as Hitler’s Games were held here and used as a status symbol to demonstrate the power and athleticism of the German people. The stadium was built to eclipse the Los Angelos games of 1932, with Germany building a new 100,000 seater track and field stadium. To really capture the momentous occasion, a closed circuit television system and radio network with the filmmaker Leni Riefenstahl, a favourite of Adolf Hitler, was commissioned to film the games for $7 million. Leni Riefenstahl created the film Olympia; the method of filming used for the film has led to the discovery and pioneering techniques now common in the filming of sports. The stadium is still located in the same place, although it has been modernised and most recently, it hosted the 2009 World Athletics Championships. 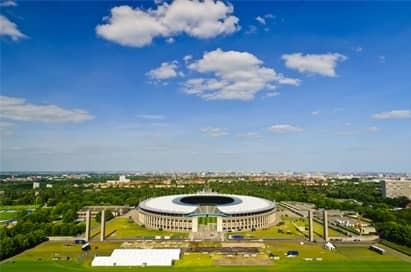 The Olympic Stadium is a great historical attraction as it is historically and architecturally important to the third Reich era of German history during Hitler’s time in power. Here you can see the guided tour options available at the stadium. 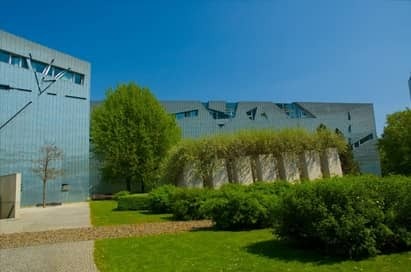 In its permanent exhibition, The Jewish Museum Berlin, opened in 2001, presents the history of Jewish life in Germany from the middle ages until the present. 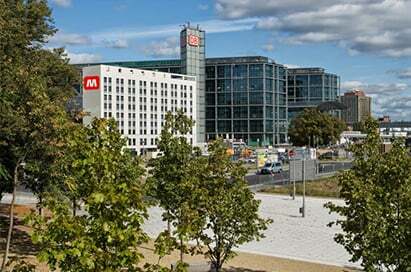 The museum is also quite possibly one of the most exciting examples of contemporary architecture in Berlin. It has been designed and built to resemble a shattered Star of David. In addition to the exhibition rooms, the interior contains the windowless Holocaust Tower. There are a number of other exhibits to see on the grounds with tours being available which give great insight into Jewish History. 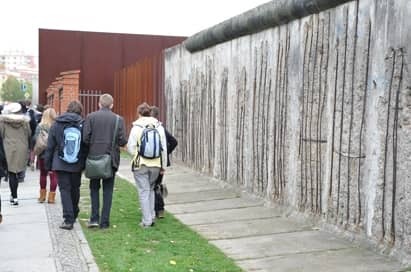 The Berlin Wall Memorial and Documentation Centre contains the last piece of the Berlin Wall preserved within its original grounds at Bernauer Strasse, an area situated at the border between East and West and hence a focal point of German post-war history. The facility shows how the border facilities were constructed and imparts to the visitors a lasting impression of the construction that had at one time completely divided a nation. The viewable exhibit in the Documentation Centre shows the 1961 history of the Wall’s construction and the Circumstances of the divided city. The Panorama offers a visualisation of how mundane, and at the same time how gruesome, living in the shadow of the Wall was. Viewed from a 4 metre high platform you are immersed in scenes and stories of people going about their everyday lives in the divided Berlin of the 1980s. In an accompanying photo exhibition, private photographs from witnesses of those times showing everyday life with the Wall and scenes from the time when the Wall fell provide a fascinating documentary insight. Checkpoint Charlie was the best-known border crossing of the division of the Berlin Wall during the Cold War. The Checkpoint Charlie Mueseum shows a comprehensive range of objects and tools people used in their escape out from East Germany: from hot-air balloons, Trebants and even a chairlift. 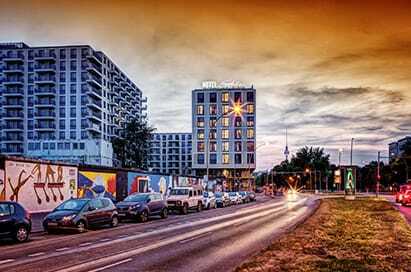 The spot remains a must see sight in Berlin with huge historical and emotional resonance. The museum contains the best documentation available on many escape attempts from East to West. The original Checkpoint sign, a symbol of the division, is still exhibited here. 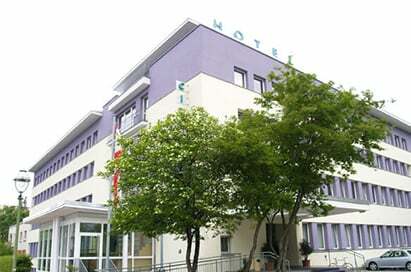 The DDR Museum is one of the most visited museums in Berlin. 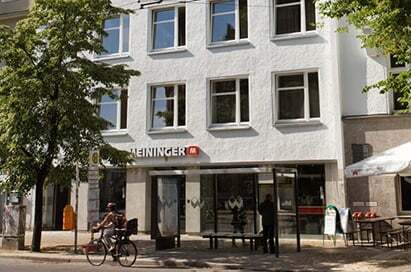 With good reason: the museum deals exclusively with life in the former German Democratic Republic, the permanent exhibition is all about interaction with its motto being ‘history to touch and feel’ with visitors entering 1:20 scale model of a typical GDR prefabricated high-rise estate. Information and exhibits are stowed away and hidden in drawers, closets and behind doors. The kitchen even still has the cooking smells of the time. 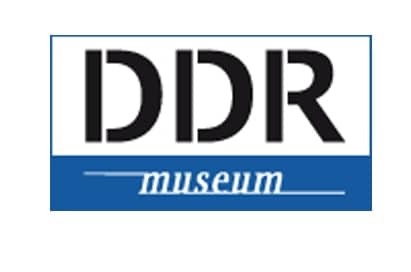 It is the only museum, which concentrates on everyday life in the DDR and one of the most interactive museums in the world making it a fantastic learning experience for students. The Stasi were the intelligence force of East Germany and the equivalent of the KGB. The Stasi museum is located in House 1 on the former grounds of the headquarters of the GDR Ministry for State Security (MfS). 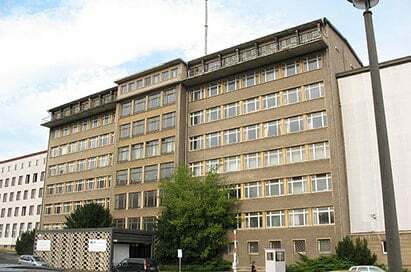 The building was erected in 1960-61 as the offices of Erich Mielke, who served as Minister for State Security from 1957 until the end of the GDR. 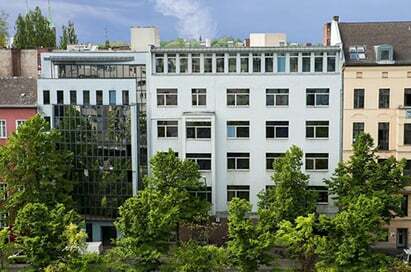 Demonstrators stormed the building on 15th January 1990 and took over the Stasi headquarters. Following this, the GDR regime ended. The Stasi has been described as one of the most effective and repressive intelligence and secret police agencies to have ever existed. Exhibits on display include the Stasi’s old offices and a variety of bugging devices used to spy on ordinary citizens. The prison was established by the Soviets as a detainment camp during the regime. After the closure of this camp in 1946, the cellar was converted into the main Soviet Secret Police for detention and interrogation in East Germany. The Stasi took over the prison in 1951 adding a new building in 1961 and, until 1989 used the site as its main remand centre. Thousands of political prisoners passed through the jail, this included nearly all the figures that opposed the GDR regime. 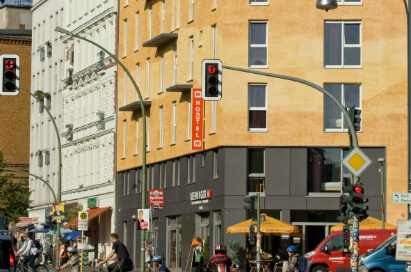 This area was highly restricted and was never allowed to appear on any maps of East Berlin. 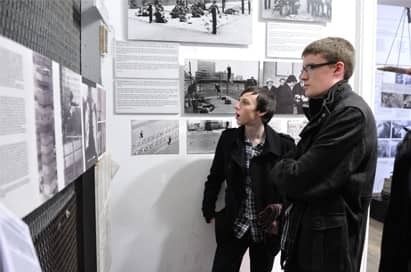 Through exhibitions, events and publications the opening of the prison aims to increase awareness of the methods and consequences of political persecution and suppression in the DDR. Former inmates, who provide first-hand details on prison conditions, usually lead tours of the prison and explain the interrogation methods employed during their incarceration. The guides at the Stasi Prison were outstanding. This is a very worthwhile visit and I would highly recommend it to any groups studying Cold War history. The tours at the Stasi Prison were excellent- pitched exactly at the right level for the students. The tours at the Topography of Terror were also excellent- a master class on using historical sources. The lady in the coffee shop at the Stasi museum certainly recreated secret police tactics! Unterweld tour (recommended by EST) was the best part of the trip. Thank you.